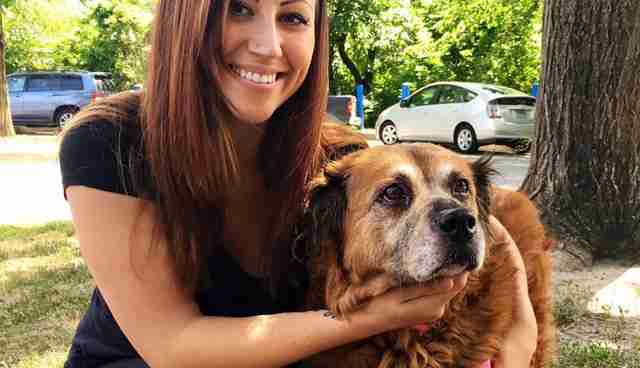 For at least three days, Bear, a 12-year-old dog, sat by her owner's side - without taking a break for food or water, or to relieve herself. The great tragedy was that Bear's owner was dead. 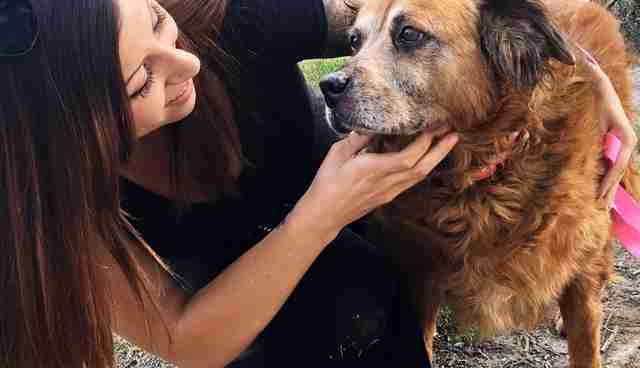 But Bear's loyalty and love for the person who once cared for her was so unwavering, she might have spent even more days by his side had someone not stopped in to discover the somber scene - after Bear's late owner was reported missing. Bear was pulled from the home and person she knew and taken to the Baltimore Animal Rescue and Care Shelter (BARCS) on June 2. A family member stepped forward on Facebook to comment that Bear belonged to his uncle and had lived with three cats previously. "Bear is a quiet girl here," BARCS wrote on Facebook. "We know that, like all pets, she is confused about her circumstance. In her kennel she lays on her side and looks heartbroken and sad." The post added that, however, a light in her brightened whenever she was taken outside for a walk with BARCS' volunteers. "She smiles, she trots when she walks, she leans into you when being held and loves to lay on a cool ground," the post reads. "Bear is an absolute doll." 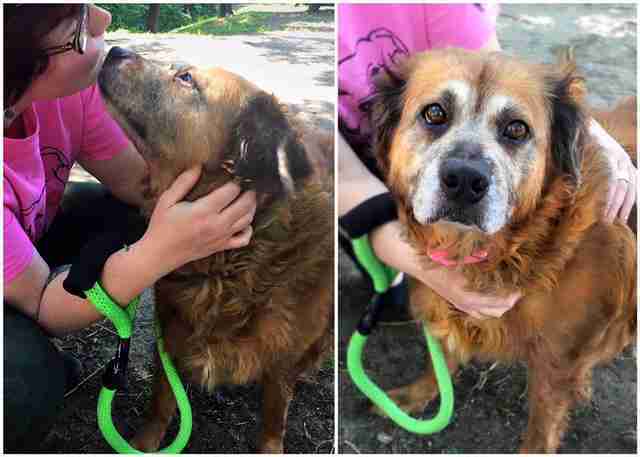 It only made sense that her endearing demeanor, along with her loyalty, would find her a new family soon, despite the adoption challenges that come with being a senior dog at a shelter. 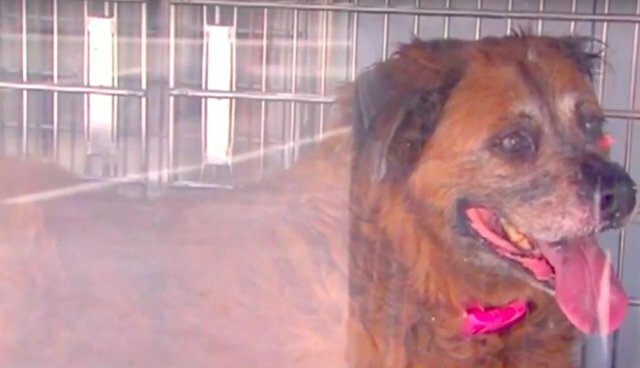 A new home seemed so close when Jennifer Barry, a woman with a senior dog of her own, stepped forward with the determination to bring Bear home after feeling a connection with her, but, sadly, the fit wasn't perfect. "Unfortunately I am sad to report that we did not end up adopting Bear," Barry wrote on Facebook. "Although my dog did a good job, my husband was concerned it wasn't going to work. There were two other applications so hopefully one of them will be able to take Bear, but if anyone else is interested please contact BARCS. 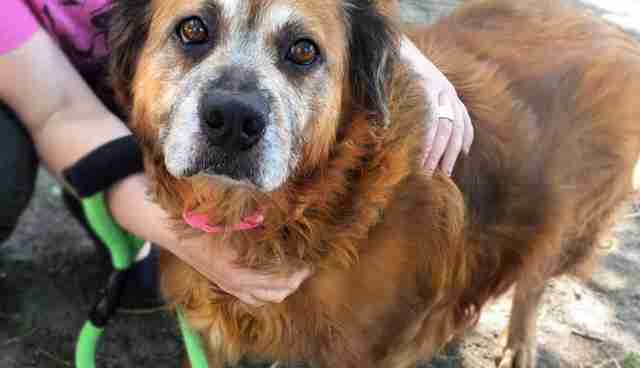 Bear is a sweet, sweet girl who desperately needs a forever home," she wrote. Thankfully, there was another potential family in line for Bear - and yesterday, she was officially adopted into her home, where she'll also have a puppy sister to keep her company. "Thank you Chelsea [Hagerty] for taking over my great uncle's duties," another family member of Bear's previous owner wrote on Facebook. "I'm sure he is up in heaven, smiling down." "She's a sweetheart," Hagerty wrote back. "I'll make sure we love her as much as he did."